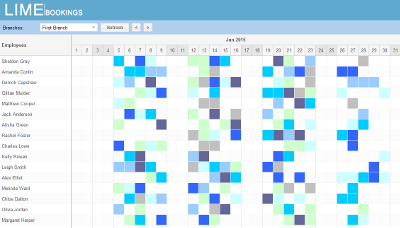 LimeBookings takes the hassle out of managing your appointments with clients. 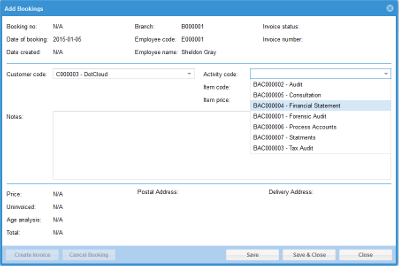 Make a booking by selecting a customer, employee, activity and date - all from a single screen. 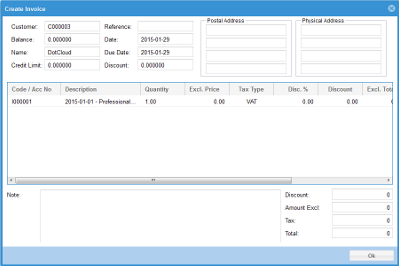 Customer invoices are generated when bookings are made. Different activities can be specified at different rates. LimeBookings provides a bird's eye view of bookings. It indicates open and booked dates as well as the type of work an employee is booked out for.